With over 44,000 veterinarians listed in our UAS database we are sure you will find one close to you if you live in the United States. 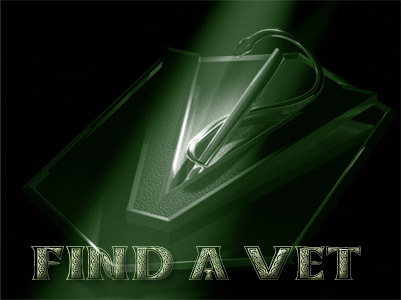 If you live outside the USA please feel free to let us know of your favorite vet if you would like them included in the search. Breeding dogs is more than simply throwing two dogs together. Part art, part skill and part science the process can be quite challenging and frought with disaster if not managed correctly. If you are serious about breeding then you need "Breeding By The Book". This book will take you from the starting concept all the way through marketing your pups and insuring they all go to good homes. Learn about various health topics that can effect your canine loved ones. This is an excellent resource to learn more about disease that your pet may be affected by as well as learn how to avoid potential for disease situations. At the American Pit Bull Registry we are concerned about your Pit Bulls health and have taken the time to develop this resource section to help you provide the best care possible for your canine family members. This section is not intended to supplant proper veterinary care. If you find you need a local veterinarian we encourage you to review our vet database where we have over 44,000 vets listed. 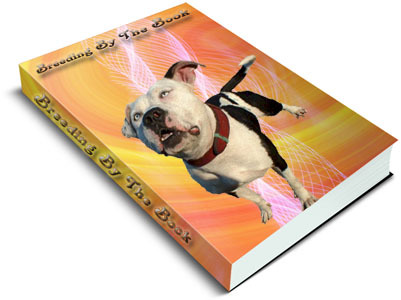 For those who do or are considering breeding we also provide our own written resource called "Breeding By The Book". This comprehensive resource will help you understand from day one the steps to go through to conduct a responsible breeding program and to help insure the healthiest outcome for your pups. Disease and improper breeding practices account for the highest degree of litter mortality. With this resource you will gain an understanding of how to breed to limit genetic and other health risks as well as steps to take to limit health issues after birth has taken place. Breeding can be a very risky and expensive proposition if your litter falls ill. A typical treatment program of a litter with Parvo or Distemper can easily run a breeder well over $1,000 in treatment for a survival rate of less than 50%. For less than the cost of a bag of puppy food you can protect the health of your pups and the reputation of your program. If you cannot afford the book then breeding is not in your best interest as it does involve both time and money in order to be successful. This book provides a detailed overview that is critical to any breeding establishment but is also a premium resource discussing a full array of marketing techniques sure to give its owner a competitive advantage in the sales market. For the breeder there is no better resource on the market to take them successfully from finding a mate, preparing for birth, insuring healthy outcomes, marketing their offspring and finding high quality long-term loving homes. Make sure to order your copy today! PAPRVO, DISTEMPER, HIP DYSPLASIA! Dreaded words no owner wants to hear. Too often we go to the vet and feel like they have not provided us with enough information on a condition our pets may have. Maybe they have explained it well but have not really discussed a comprehensive treatment plan to insure the best outcome. Maybe everything was discussed well but in the midst of a diagnosis it was impossible to absorb everything and now you need to assess your options, refresh your memory and make a decision on your next course of action. 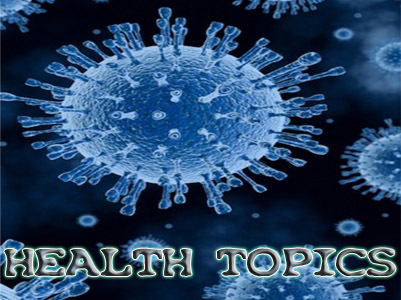 In our health topics section we will review various health-related topics to help insure not only the best treatment possible but also how to avoid negative health conditions in the first place. "I did not realize that Parvo can live for almost a year in soil and can be washed into a yard by rain. Your advice helped and after a week of nerve racking care and hundreds in vet bills I was able to bring my pup to full recovery. I wish my breeder had taken the time to know a little bit more and invested a little extra in their care. This could have saved me tons of money and an emotional roller coaster. 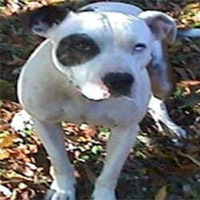 In the end I realize I was the lucky one as my Pit Bull made it through."